Fish ceviche is one of my favorite appetizers. It is quick to make, it tastes good the first day and great the second day. I like to serve ceviche with crisp corn tortillas. You can even use the tortillas like a spoon to scoop the ceviche. For a special presentation, dip glass serving cups in water and chill in the freezer. Serve the cold ceviche in the frosted glasses. The fish protein in ceviche is denatured by the citrus marinade, but it is not actually cooked, and the citrus acid does not kill bacteria or parasitic worms, like heat does. The FDA recommends that all fish that is intended to be eaten raw be previously frozen. Freezing kills parasites, but not all microorganisms. Does alcohol kill parasites and bacteria? One school of thought is that alcohol will kill off any parasites or bacteria. That would be nice, but don't count on it. Do, however, drink a great margarita with your ceviche. 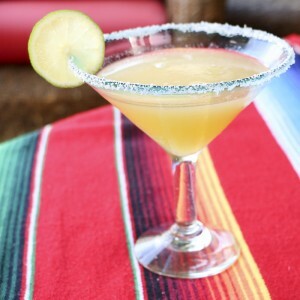 I recommend my Jalapeño margarita. 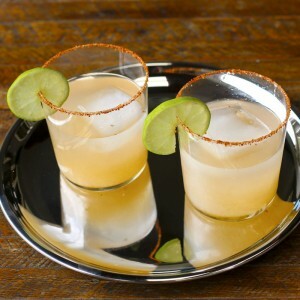 or Paloma cocktail. 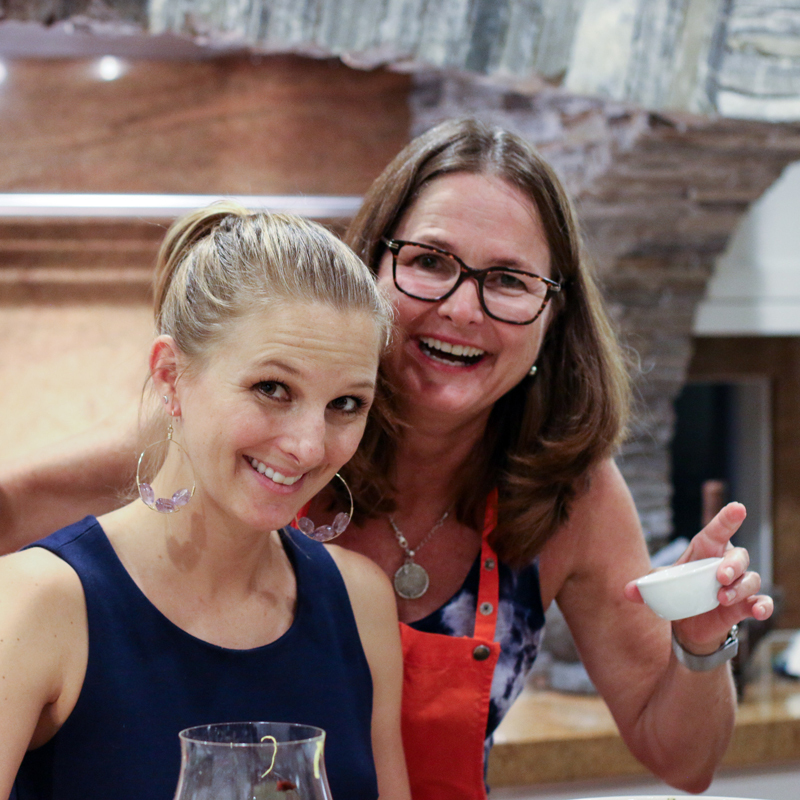 The drink won't sterilize your raw fish, but it will put a smile on your face. How long to marinate is a matter of personal preference. 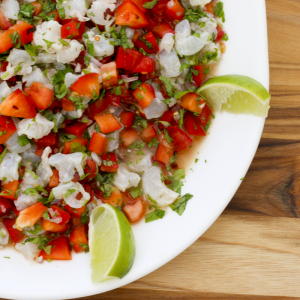 Some prefer their ceviche barely marinated for only a few minutes, and others like the changes that occur when the fish marinates for several hours. See my post on jalapeños to learn how to prepare them. This is a great recipe to use your citrus press. See my post on how to prepare garlic. 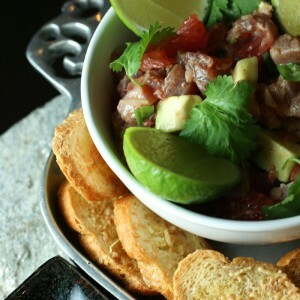 Fish ceviche is one of my favorite appetizers. It is quick to make, it tastes good the first day and great the second day. Cut the red spines out of the tilapia fillets. Dice remaining fish into 1/3" cubes, taking care to chop in vertical motions so you don't mush up the fish. Put fish in a non-reactive stainless steel or glass bowl. Add lemon and lime juice and stir. Set aside while you chop the remaining vegetables. Add red pepper, cucumber, jalapeño pepper, garlic, cilantro, salt and pepper. Stir to combine, cover and let marinade for at least 15 minutes and up to 3 hours, depending on your preference. Serve with diced avocado and corn tortilla chips.